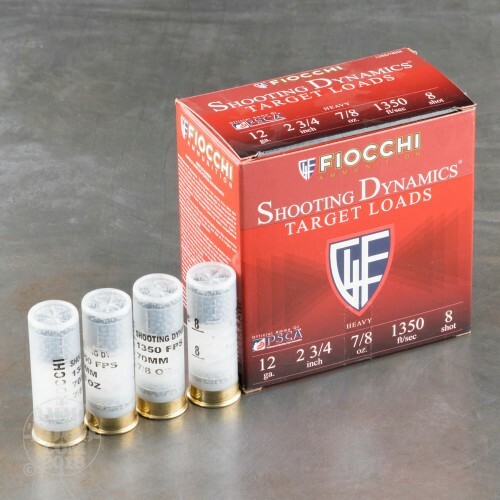 This is 12ga Fiocchi 2 3/4" 7/8oz. 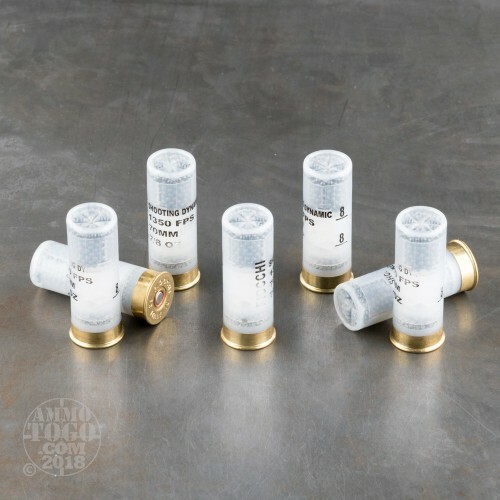 #8 Shot Target Ammo. 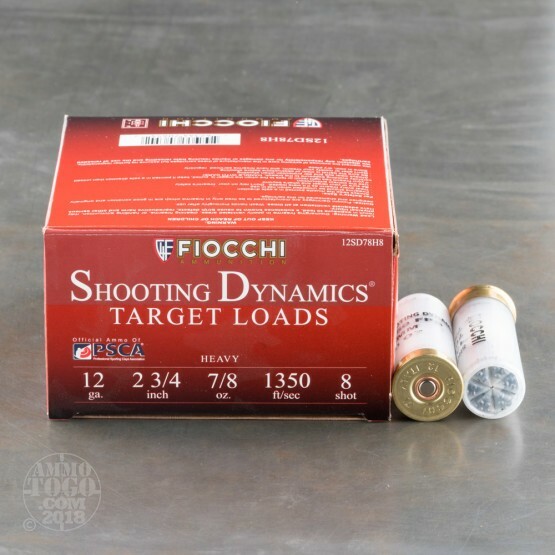 Fiocchi has been manufacturing ammunition in Ozark, Missouri since 1986 and in Europe since 1876. 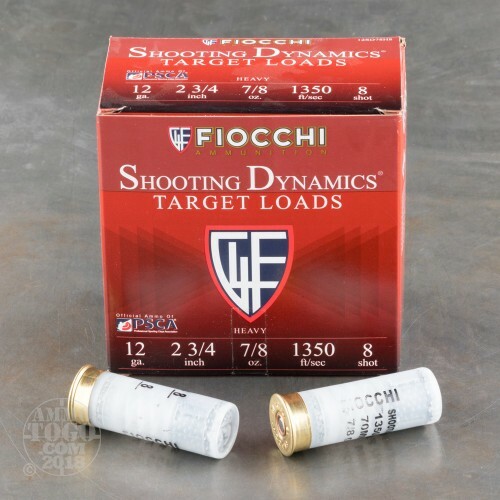 Fiocchi ammunition is manufactured with pride from the finest raw materials and components hard uniform, functional one-piece plastic wads, clean consistent powders and consistent non-corrosive primers. Premium materials and strict, exacting standards of quality and consistency make Fiocchi a worldwide leader in innovation and design. This ammo comes packed in 25rd. boxes and 250rds. per case.